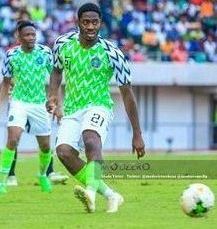 Nigeria international Ola Aina has missed a golden opportunity to show off his qualities to some of the elite clubs in Europe. The Chelsea loanee will not be on parade at the Stadio Artemio Franchi (Firenze) on Sunday afternoon when Torino tackle Fiorentina on game week 29 in the Serie A due to suspension. Aina was given a three-match ban by the Italian Football Federation for his red card against Bologna in the last game before the first international break of 2019. According to fiorentina.it making reference to Corriere Dello Sport, scouts from all over Europe are expected to watch the match between Fiorentina and Torino. Real Madrid, Bayern Munich, Manchester United and Manchester City will send their scouts to beef up their knowledge on the top stars. Aina is contracted to Chelsea until the summer of 2021 but Torino have the option to make the move permanent at the end of this season. The wing-back has appeared in 24 matches in the Serie A.